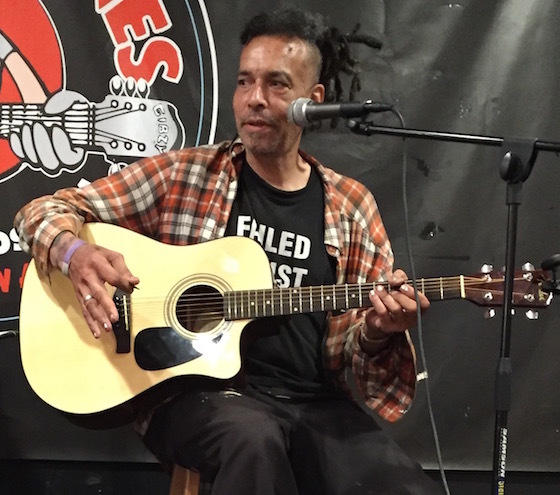 Chuck Mosley, a musician best known for fronting an earlier lineup of Faith No More, has died at the age of 57. While details are scarce, Mosley's publicist said he died on Thursday (November 9) due to addiction-related issues following years of sobriety. Mosley was a member of Faith No More from 1984 to 1988, during which the band released their albums We Care a Lot and Introduce Yourself. Mosley was let go from the band in 1988 after his erratic behaviour resulted in numerous altercations with the band, including allegedly punching bassist Billy Gould onstage. Outside of Faith No More, Mosley enjoyed a solo career. More recently, Mosley reunited with Faith No More for a handful of shows in 2016. After a long period of sobriety, Charles Henry Mosley III lost his life, on November 9th, 2017, due to the disease of addiction. We're sharing the manner in which he passed, in the hopes that it might serve as a warning or wake up call or beacon to anyone else struggling to fight for sobriety. He is survived by long-term partner Pip Logan, two daughters, Erica and Sophie and his grandson Wolfgang Logan Mosley. The family will be accepting donations for funeral expenses. Details to follow when arranged.